IF MEDISCARE had an impact on the 2016 election, get ready for Wages-scare. And that would be a real shame because the hysteria over wages is exactly that: a scare campaign. Last week, a report commissioned by the Australian Council of Trade Unions claimed that Australia is facing an "incomes recession" and that "the fall in living standards [in Australia] in the past three years was greater than during the last recession in 1991-92." These numbers were seized upon by ACTU Secretary Sally McManus. "We are suffering an incomes recession," McManus intoned. "Our wages are going backwards because of inaction by the government". For good measure, she also used a press conference the same day to announce anti-government protests four weeks from now based off these numbers. The only problem is, the numbers - or at least McManus' class warfare interpretation of them - don't stack up. The truth is, wages are going up, if sluggishly and not as fast as many of us would like. According to the Australian Bureau of Statistics' measure of living standards, the real net disposable income per capita, was at a record high on December 31 at $59,000. That was up 5.5 per cent over the past three years and 73.4 per cent since the 1991-92 recession. In other words, living standards are going up and the incomes recession line is pure fantasy. But still, the union went on: "The research shows that living standards peaked in Australia in 2011 before a dramatic slide between 2015 and 2018 to plummet to their current levels. They are now lower than during the 1991-92 recession." This is, of course, the same McManus who in 2017 said she didn't have a problem with the behaviour of scofflaw union CFMEU, explaining, "Yeah, I believe in the rule of law where the law is fair, when the law is right. But when it's unjust, I don't think there's a problem with breaking it." The same seems to go for the laws of mathematics. Even the researcher behind the report touted by McManus, Australian National University's Ben Phillips, told Nine Media that "living standards are way above what they were in 1991 or 1992, 65 per cent higher." Nevertheless, the union has been busy pushing for an increase in the minimum wage to a "living wage", which would be equivalent to 60 per cent of the median wage, saying "nobody should work full-time and live in poverty." The thing is, Australia already has the third highest minimum wage in the world, ahead of the US, Canada, New Zealand and most of Europe. Now look, we'd all love a pay rise. But the problem with increasing the minimum wage so drastically is that businesses, particularly small ones, would struggle to afford it and it would lead to more workers being let go and more jobs being automated. Australian Chamber of Commerce and Industry chief executive James Pearson told The Australian the move would "send a shiver down the spines of small business people throughout Australia." "If Australia moves to massively increase minimum wages, jobs will be lost, hours cut and businesses will go out of business - the basic economics of employing and staying in business will change for small businesses across the country - there is nothing surer," Pearson said. Research published by the Reserve Bank of Australia last year found while there was no evidence "small, incremental increases in award wages" led to higher unemployment, there'd always be "some point at which minimum wage adjustment would reduce employment". What's more, the Fair Work Commission last year increased the weekly rate by $24.30, representing the largest rise in eight years. 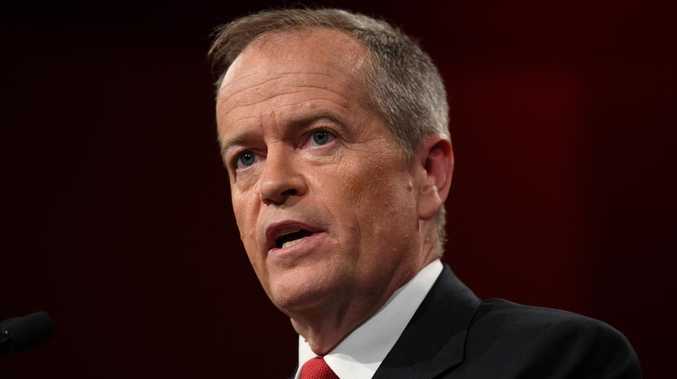 Yet there was Opposition Leader Bill Shorten mimicking McManus' rhetoric, saying Labor wanted "to see a minimum wage in Australia which is a living wage". He's declared the upcoming election would be a "referendum on wages" and that the current minimum wage is outdated. 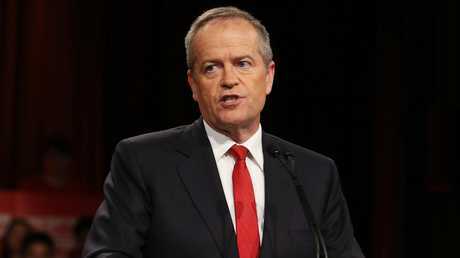 "It came in as a principle before we had mobile phones, before we charged for water, the internet hadn't been invented," Shorten said. "The minimum wage is nowhere near adequate as a living wage." Shorten later acknowledged the figure should be set by the industrial empire. But Opposition finance spokesman Jim Chalmers floundered on the ABC's Insiders program on Sunday, unclear about whether the party would persuade the Fair Work Commission to take a different approach or intervene with regulations. 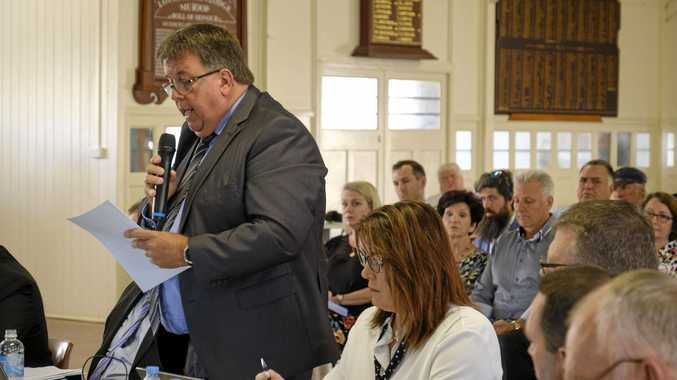 Chalmers said he expects the independent commission would "share the priorities of an incoming Labor government" on addressing slow wages growth. At the end of the day, we should never become complacent about the economy, but we shouldn't give in to the union and Labor scare campaigns that threaten employment, either.